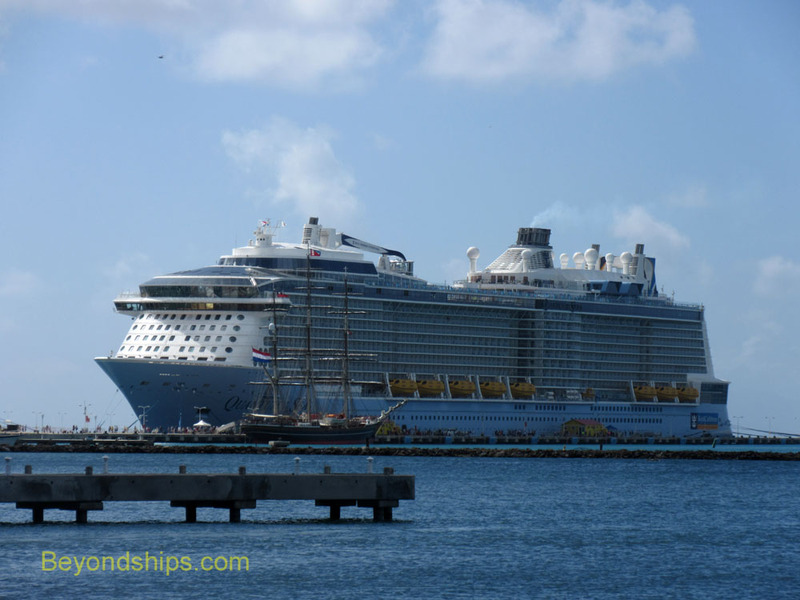 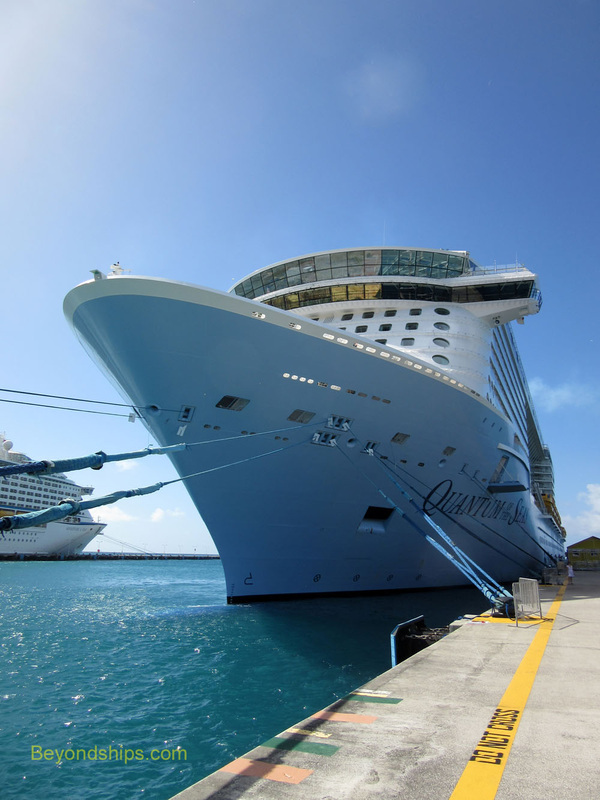 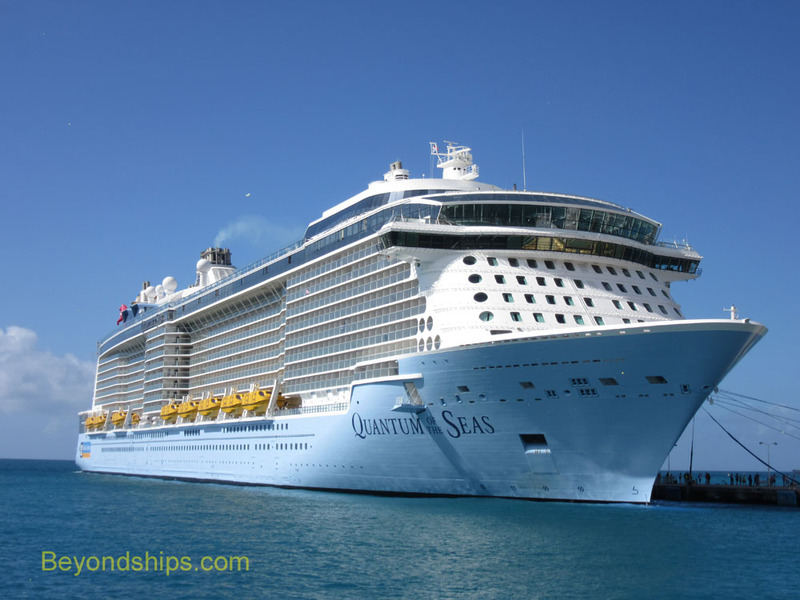 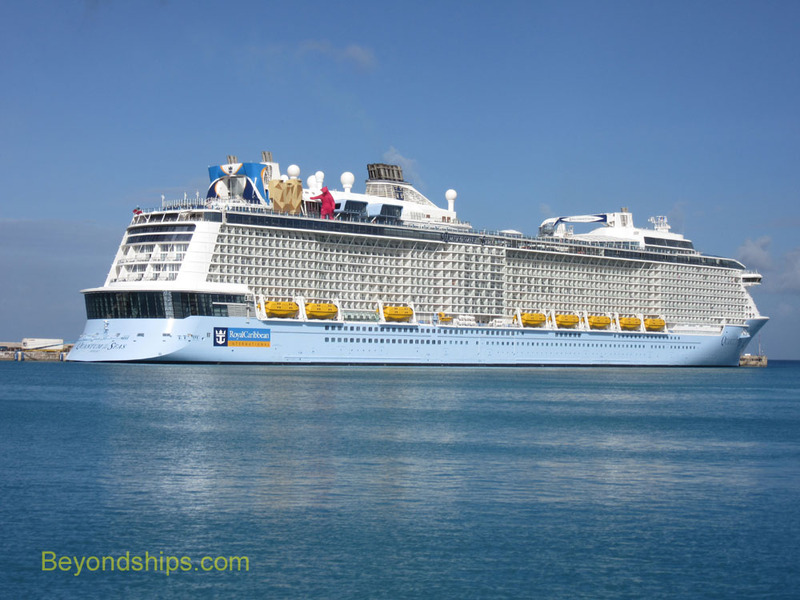 Another must visit port on Quantum's itinerary had to be St. Maarten, one of the shopping capitals of the Caribbean. 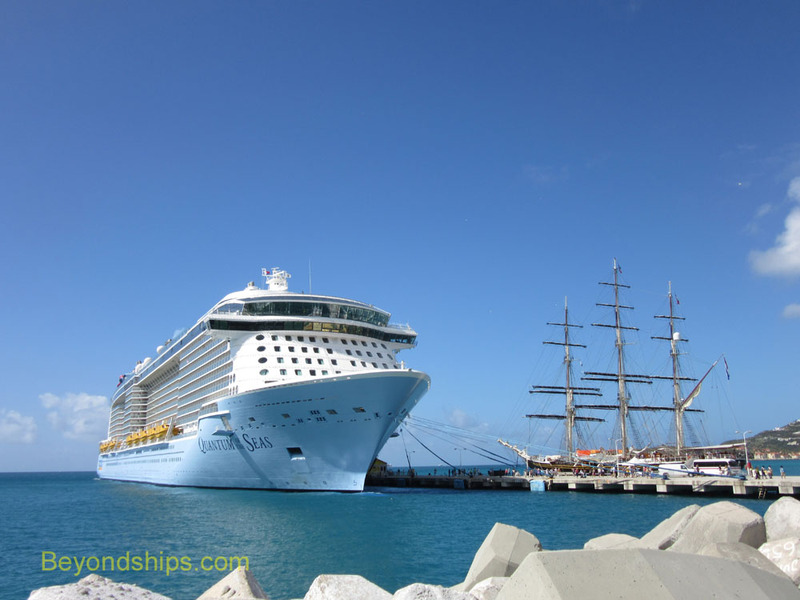 Also in port were Adventure of the Seas (above) and the sailing cruise ship Stad Amsterdam (right). 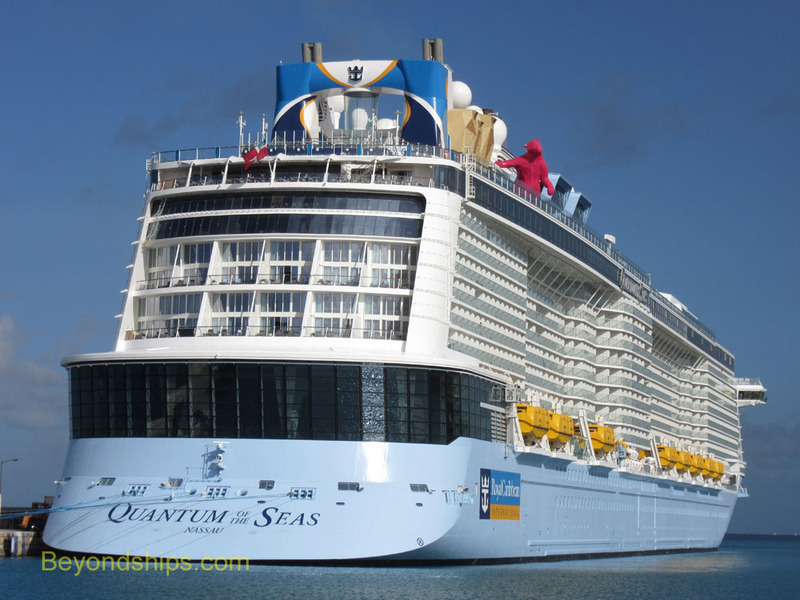 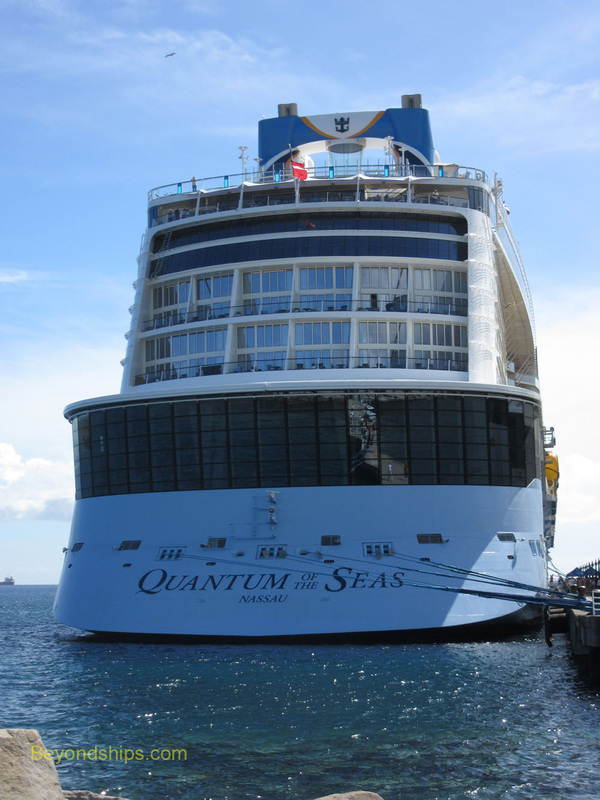 Traveling far south, Quantum called in the resort island of Barbados. 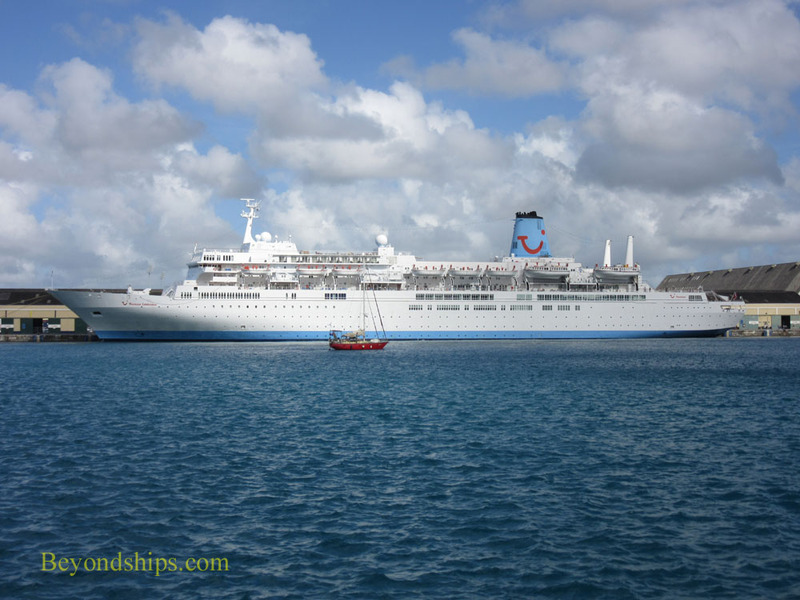 Also in port was the Thomson Celebration, the former Noordam of 1984. 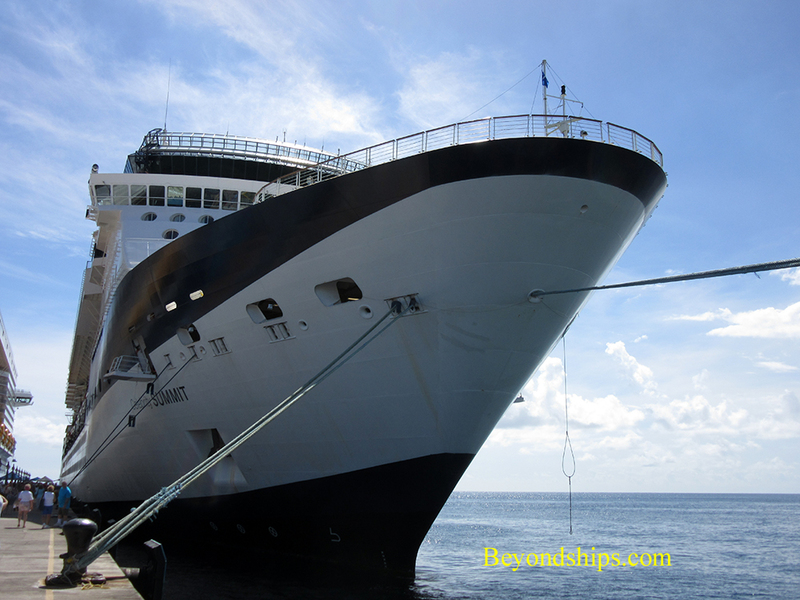 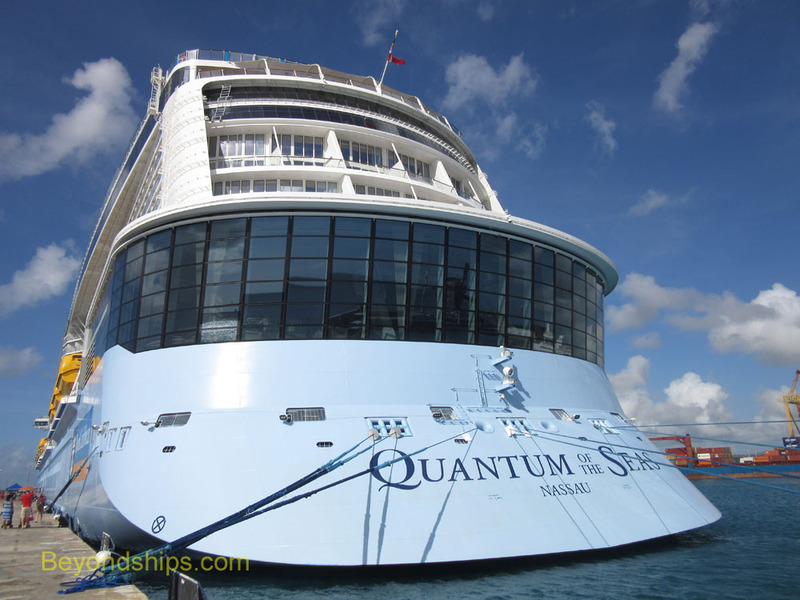 In the increasingly popular island of St. Kitts, Quantum docked across from Celebrity Summit (above).